LinkedIn is understandably the first social network that comes to mind when most people think about B2B marketing. There’s good reason for this; after all, LinkedIn is built from the ground up for engaging with professionals and there aren’t any social rivals that can really say this. However, any decent B2B marketer will tell you LinkedIn is merely one of the channels you should be using to target business decision-makers and targeting is the key word here. 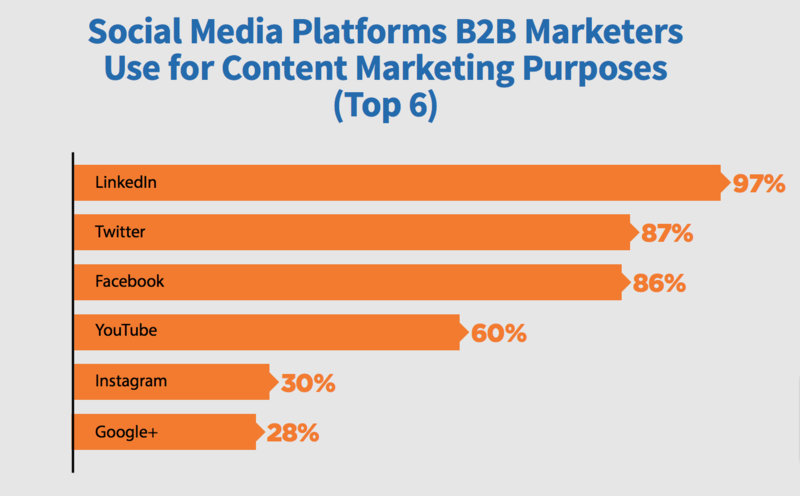 According to findings from CMI, 86% of B2B marketers consider Facebook to be a crucial part of their marketing efforts and 87% use Twitter as a key marketing tool. If you’re not sure why so many B2B marketers turn to Facebook, then this is the article for you. Here, we’ve got 10 ways you can use the network to generate B2B leads and you may end up kicking yourself for not making more of the platform sooner. The first thing you need to get your head around with Facebook is campaign goals. There are four types that you’re going to use on a regular basis as a B2B marketer: Brand Awareness, Traffic, Lead Generation and Conversions. Brand awareness campaigns are where you’re going to reach a wider audience and introduce them to your brand. These are users at the very start of the buying process (they may not even know they’re in the market for your product/services) but your aim is to get them on board and nudge them along the purchasing journey. The key thing with brand awareness campaigns is to get your messages and targeting spot on. The good news is B2B buyers are always in the market for something that’s going to save them time, money or help them transform their business in some way – so this will help you with the messaging part. As for targeting…, well, Facebook has by far the best targeting options in the industry and this what makes it such a powerful advertising channel (more on targeting later). That’s right, Facebook has a dedicated campaign type designed to help you generate more leads. These are for the soft conversions that get prospects on your lead nurturing strategy: newsletter signups, event registrations, contests, coupon/deal signups, quotes, free trials, etc. 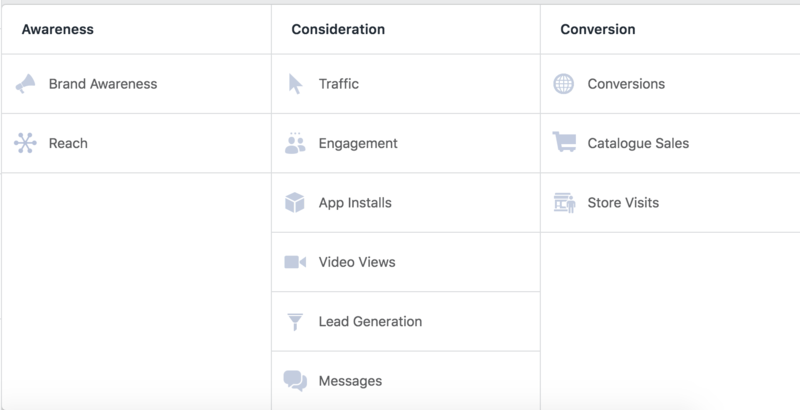 Facebook lead ads are unlike other formats on the network, allowing you to convert users on the network without even sending them through to your site. As soon as users click your CTA button, a form pops up in the Facebook app or site and the data you need from them is already filled out and ready for them to send – no typing needed, just s simple tap of the send button. No more conversion friction; just quick, valuable leads directly from Facebook. Converting leads directly in the Facebook app is great but there are some conversion goals where you definitely want traffic landing on our site. This is where Traffic campaigns take the lead and there are two places you can send this traffic: your website or your Facebook page. Don’t bother sending traffic to your Facebook page, though – it’s a waste of money and defeats the entire purpose of using traffic campaigns. You want these users on our site, clicking through to specific landing pages so you can convert them or get them on your remarketing lists. For remarketing and tracking user behaviour on your site, make sure you install Facebook Pixel on your site. This gives you access to all kinds of on-site behavioural data that will help you optimise your campaigns for better results and gives you everything you need to run Facebook remarketing campaigns. 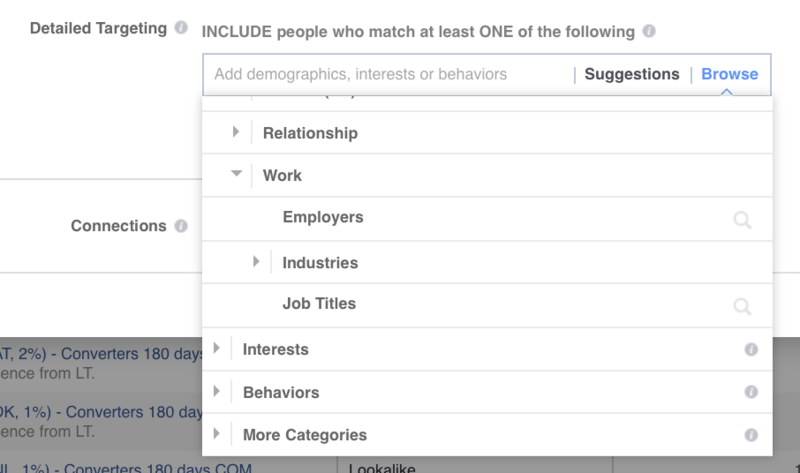 Facebook Lookalike Audiences help you generate new leads form your existing customers/leads. Basically, you give Facebook access to your user data and the network finds other users who display similar online behaviours to your existing leads, which you can then target with dedicated ads. So you can create custom audiences based on your contact lists in your CRM and then use these to create Lookalike Audiences and Facebook will find a bunch of users who display the same online behaviour as your existing leads of contacts. Combine your segmented CRM lists with Lookalike Audiences and you can generate a huge amount of new – but highly-targeted – leads that you’d probably never encounter otherwise. When 73% of B2B marketers say webinars are the most effective way of generating high-quality leads, you better take note. Here at VentureHarbour, our automated webinar marketing strategy is one of the most profitable lead generation tactics we’ve used and we fully recommend every B2B marketer takes a serious look at this method. You can use Facebook to enhance your webinar marketing efforts to by featuring snippets of your webinar in video ads. This is a great way to generate signups and you might want to test it across lead generation ads and traffic ads. Remember, lead generation ads will aim to convert users in Facebook while traffic ads will send them to your chosen landing page. While Facebook lead ads can help you convert more leads by removing friction, converting on your site always gives you more control. Wherever possible, we recommend sending users to your site and increasing conversion rates on your pages, unless you’re getting significantly better results with lead gen ads or you don’t need the on-page data for your CRM, retargeting or other strategies. 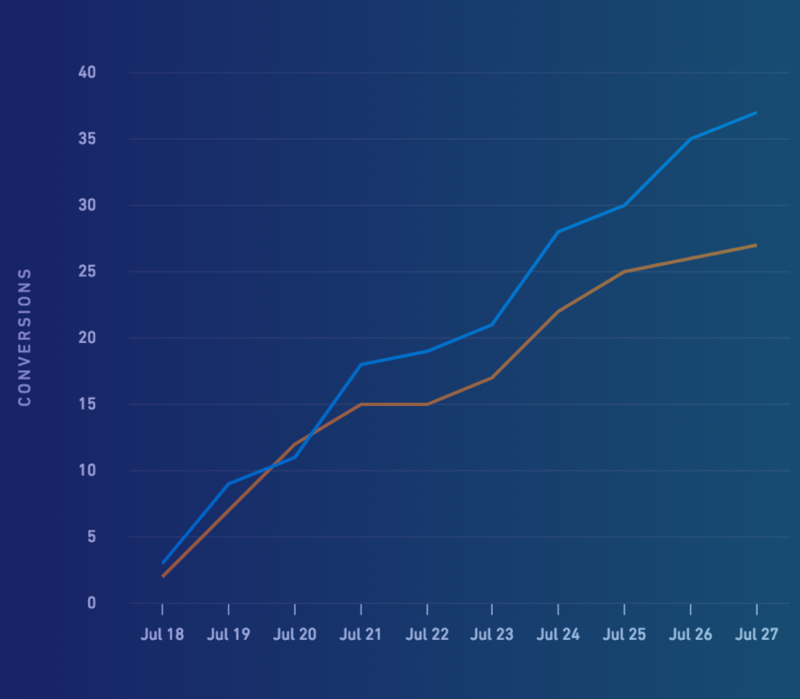 In our tests, we’ve found multistep forms significantly increase on-page conversions and open up a whole bunch of new options in terms of data handling and lead segmentation. For example, we use Leadformly to segment leads in our forms and create lists in ActiveCampaign, which automatically sends out targeted responses based on their data. Aside from increasing conversion rates, this saves us from sending out generic responses and allows us to send relevant messages to users from the very first email response. As I said earlier, Facebook’s targeting options are incredible – far more sophisticated than anything you’ll find on LinkedIn or Twitter and a good sight more advanced than the targeting options available on Google Ads. Of course, Google Ads doesn’t need to match Facebook in this regard because you can target users who are actively searching for your keywords while LinkedIn directly connects you to business decision-makers. Facebook needs to work a little hard because people aren’t on the platform searching/researching purchases or actively looking to connect professionally. Facebook users are casually scrolling through their feeds and engaging with content, which means your ads are essentially interrupting the user experience and this is why targeting is so important with Facebook advertising. That gets you off to a pretty good start but you can do a lot better than that by combining other targeting options. The key to mastering Facebook targeting is understanding the interests and behaviours of your target audiences. For example, you can target people working in certain industries and following specific publications, industry events, rival companies and related services. You can even target B2B leads based on the device they use, the operating system and all kinds of other behavioural data points. If you want you can go as far as targeting working professionals while their away on holiday and away from the usual work distractions, promising to make their life easier when they land back in the office. Did you know that more than 40% of B2B buyers use mobile during the purchase process yet B2b marketers only dedicated 3% of their budget to mobile marketing? That’s a crazy kind of disparity you don’t want to see in your own B2B marketing efforts so now is the time to put more emphasis on mobile. Of course, it’s not a question of mobile vs desktop but how B2B buyers move between both devices throughout the purchasing process. As eMarketer sums up its own research, “B2B buyers believe their journey from one device to another should be seamless,” and Facebook is off to a good start with this because people are logged into the app, whichever device they use. 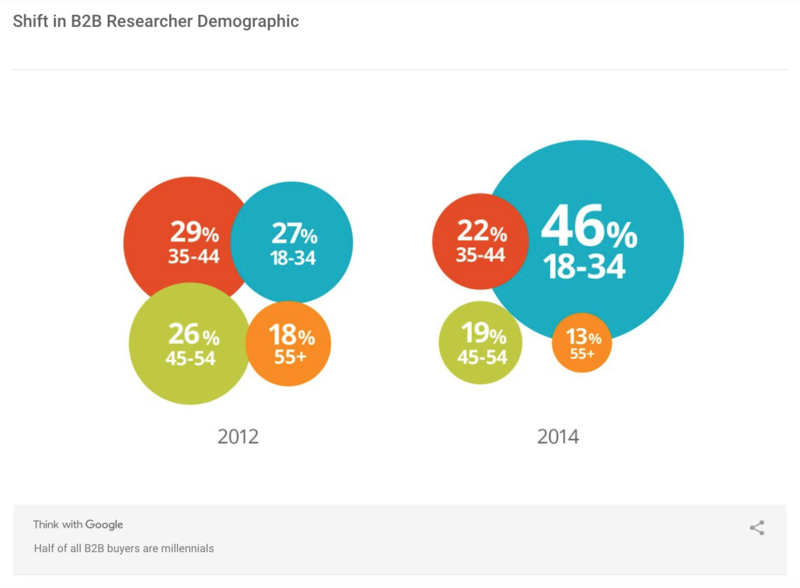 Another misconception is that baby boomers are your core B2B target audience. Actually, the majority of business decision-makers have been millennials for a number of years already – and by quite a margin. Millennials are making more B2B purchase decisions than any other age bracket and Google research shows marketers have been slow to respond to this. The final campaign types I want to suggest for you today is conversion campaigns and these are designed to do exactly what the name suggests. The downside with conversion campaigns is they tend to be expensive and you really need to get your targeting spot-on – so make sure you’ve mastered targeting before you go heavy on the conversion campaigns. 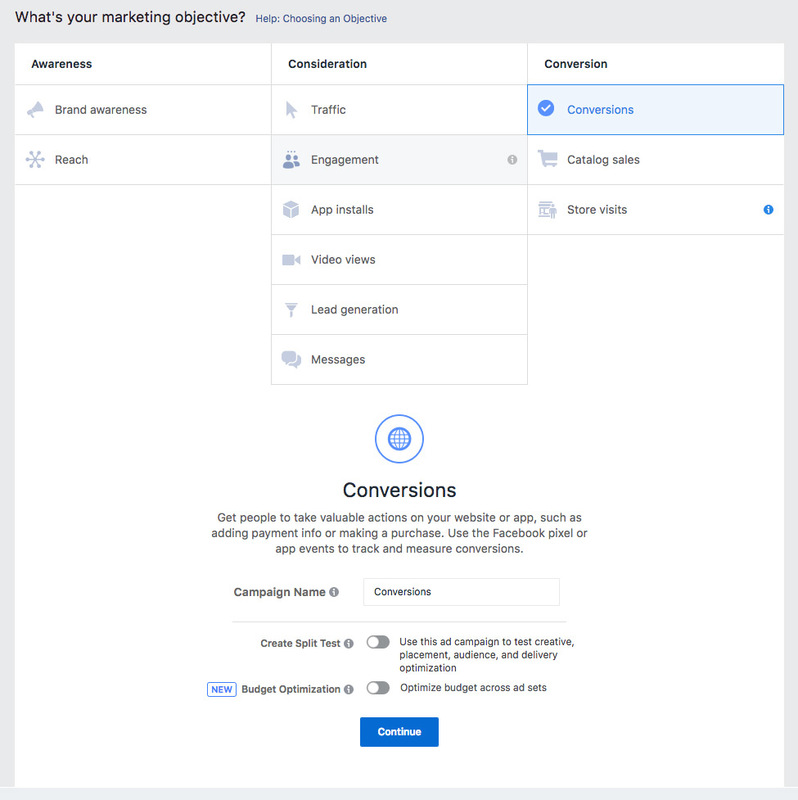 The good news is, once your conversion campaigns are up and running effectively (generally 25+ conversions), Facebook will automatically refine your targeting to pinpoint new users who are more likely to convert and make sure they see your ads. To get to this point, you’ll want to choose your conversion goal, create highly optimised landing pages and focused messages for your conversion ads. You can tests ad variations in Facebook to improve results and make sure you test your landing pages to maximise the number of traffic you turn into conversions – you’re paying good money for this traffic, remember. Finally, to make the most of your new Facebook leads, sync your social data with a content personalisation platform such as Adobe Target to create one-to-one messages for people who land on your site. Don’t get creepy with personal data but make the most of the interests and behaviour data you have access to and use it to create more relevant messages. For example, tell Windows users your software platform is the best options available for Windows or welcome back return visitors with a special offer, encouraging them to pull the trigger this time around. If you’re not using Facebook to generate highly-qualified B2B leads then your social marketing strategy isn’t performing as well as it could. This network may not be designed to connect you with working professionals specifically but its excellent range of targeting options and ad formats make it an incredible marketing platform for just about every industry. There’s a reason Facebook is the only tech giant giving Google a run for the online advertising crown; it’s up to you to unlock the network’s potential.